I think this is a great book. Chess strategy is a forgotten subject these days ever since somebody latched onto the phrase “chess is 99% tactics” but consider this: Let’s say a game lasts 40 moves. Further, let’s say the first 10 moves are book...that may be too many for average players, but it’’ll do for illustration purposes. Let us further say that both players make five serious tactical errors in the game, so that accounts for 10 moves. So, you have 20 moves, fully half the game, in which no combinations are possible; this means you have to play moves that, as Jeremy Silman says, the position demands to be played. Any old move won’t do; you have to play a move based on positional factors. On what basis are these moves played? What are the objectives? That requires some positional understanding. Tactics only gets you so far and practicing them is a helpful and necessary, but real progress comes from understanding strategy and endings. Simple Chess provides you with some elementary objectives, which if attained, should eventually decide the game in your favor. This, of course, is subject to the proviso that you don’t make any tactical blunders like getting mated or losing material. Naturally you have to be alert for tactical shots at every move; strategy takes a back seat to mating your opponent or winning material (usually)! 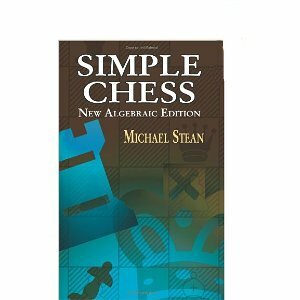 Simple Chess aims to teach you some of the basic ideas for forming a long-term plan and shows you how to recognize and accumulate small advantages which, though they may have may have little short-term effect, are permanent features of the position. As the game progresses, the cumulative effect of these little advantages begin to make themselves felt, eventually leading to more tangible gains. Your position becomes so strong that a tactical solution is inevitable. The most important single feature of a chess position is the activity of the pieces. This is absolutely fundamental in all phases of the game (opening, middlegame and especially endgame)... The primary constraint on a piece's activity is the Pawn structure...The job of the chessplayer must therefore be to use his skill to create a Pawn set-up which will allow his own pieces the optimum freedom and stability, while denying his opponent's similar scope. The essence of simple chess is mobility. Pieces need to be kept active and used economically. All the objectives of simple chess can be traced back to this underlying notion... However, the single most important factor in determining mobility must be space, but what is space? ...space is not an easily definable or recognizable concept... The following is nearer the truth. Any given Pawn structure has a certain capacity for accommodating pieces efficiently. Exceed this capacity and the pieces get in each other's way, and so reduce their mutual activity. This book really isn't for beginners but for those in, say, the 1500 range; players who don't blunder away material very frequently.